Home entertainment mini PC updated with up to 7th Generation Intel processors, DDR4 memory and built-in SonicMaster audio. 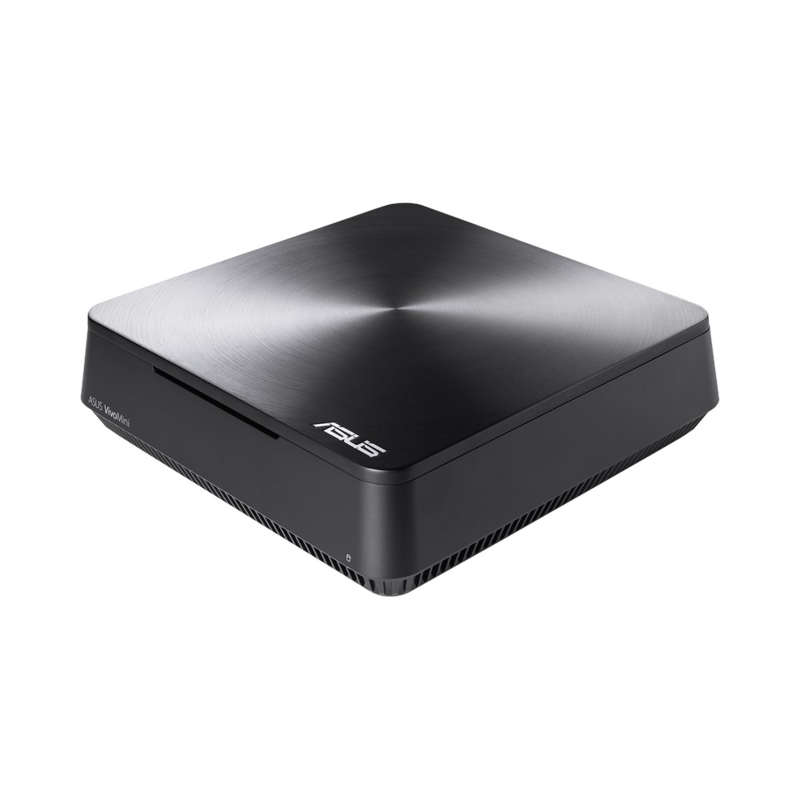 TAIPEI, Taiwan, August 3, 2017 — ASUS today announced that the VivoMini VM45 mini PC is now available with up to the latest 7th Generation Intel® processors for faster performance and stunning 4K UHD visuals. Together with high-speed DDR4 memory and ASUS SonicMaster-enhanced audio, VivoMini VM45 is not only an ideal PC for everyday computing, but also makes the perfect home entertainment center or personal media hub. The Good Design Award-winning VivoMini VM45 Series has a compact and sleek design that makes a striking addition to any home. It can also be attached on a VESA mount to the back of a monitor to create a custom all-in-one PC or on a TV for a powerful home entertainment center that is hidden from sight. With near silent operation at just 21dB when idle — quieter than a library — and incredible energy efficiency with a power draw as low as 8.5W at idle, VivoMini VM45 delivers superb performance yet maintains a low profile in a home office, bedroom or living room. VivoMini VM45 enhances daily computing or entertainment experiences with its up to 7th Generation Intel Celeron® 3865U processor and up to 32GB DDR4 RAM that together deliver faster, more efficient performance and multitasking abilities. With the latest Intel technologies and optimizations, the Intel Celeron 3865U processor has a 29%-higher CPU clock speed and 1.5X-higher GPU clock speed than previous generation processors, delivering significantly faster performance that makes VivoMini VM45 ideal for productivity tasks, browsing graphics-intensive webpages, streaming 4K UHD video and editing photos. VivoMini VM45 features Vivo DualBay, a unique dual-storage design that can accommodate a combination of up to two 2.5-inch SSDs and HDDs for added storage flexibility. This gives users the option to mix and match SSD or HDD options for an ideal balance between larger storage capacities or faster data access speeds. Models without Vivo DualBay have a single 3.5-inch HDD. A single 3.5-inch HDD or two 2.5-inch HDDs via Vivo DualBay provides sufficient space to store an entire movie or music library, while a combination of a 2.5-inch HDD and an SSD is the perfect choice for users who want fast operating system boot times and lightning-fast application launches. VivoMini VM45 supports 4K UHD displays to allow users to enjoy stunning, ultra-high-definition videos and incredibly-detailed photos. In addition, VivoMini VM45 supports up to three separate displays via HDMI and dual-mode DisplayPort (DisplayPort++) without the need for an additional graphics card, providing users generous onscreen space for multitasking. VivoMini VM45 also delivers an incredible audio experience with built-in SonicMaster speakers that provide deep, rich bass and crystal-clear vocals, even at the highest volume levels. VivoMini VM45 offers four USB 3.1 Gen 1 Type-A ports for data transfer speeds that are up to 10X faster than USB 2.0. It also features a 4-in-1 card reader, two audio jacks, HDMI, dual-mode DisplayPort (DisplayPort++) and a Kensington Lock slot. An Intel Wi-Fi card with 802.11ac technology provides VivoMini VM45 with superfast connectivity and the ability to stream 4K UHD content smoothly. Built-in Bluetooth® 4.2 support lets users pair VivoMini VM45 with a wide range of Bluetooth-enabled peripherals. ASUS VivoMini VM45 is available for pre-order now in Australia at the RRP of AUD$399.00. Support for three displays possible with daisy-chain connection via DisplayPort++. 4K UHD resolution supported on main display only.